Create event, add users and their expenses. 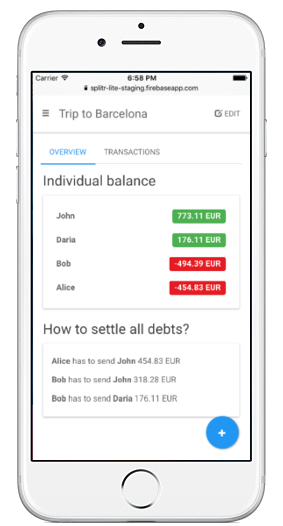 Splittypie will calculate who owes who and how much exactly. It's Free and with No Sign Up. 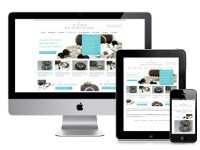 Accessible on any device with modern web browser. It has look and feel of mobile device application thanks to resposive design. SplittyPie is an offline-first application. It works when there is no Internet connection and syncs seamlessly where there is. It's really fast and dynamic. What's more, your friends will see all your changes in realtime without refreshing page! It's completely free of charge. No Sign In, No Registration, No Commitments. To share just pass a link to a friend, that's it. Yes, it's open source. Check out the code on github.